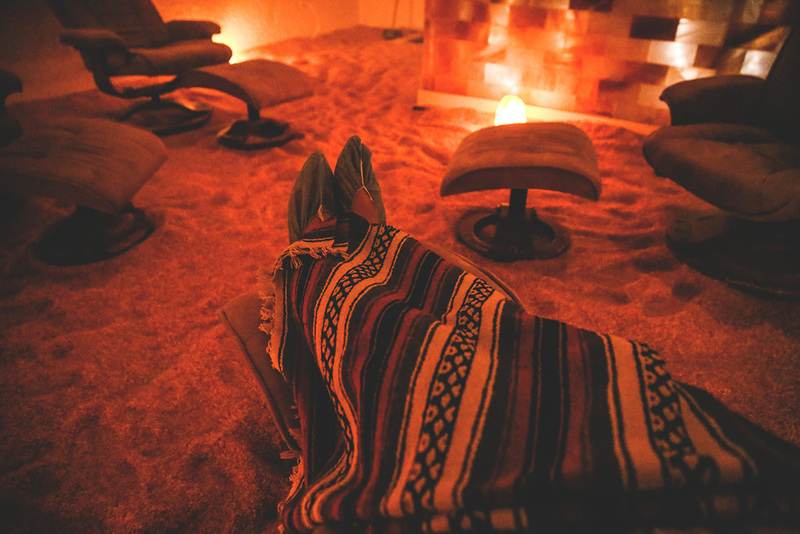 It kind of feels like you’re sitting in a salt cave for 45 minutes. 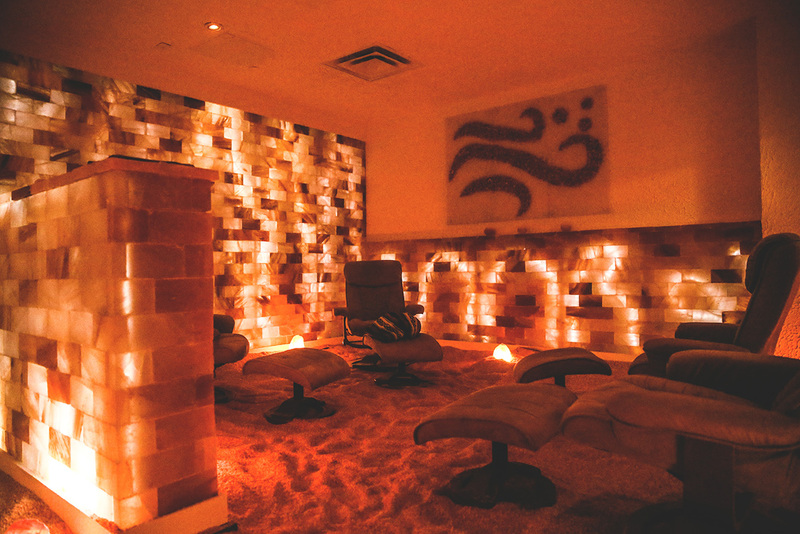 I’ve been hearing a lot about this European therapy making its way over the pond, and finally, thanks to Breathe Easy, I got the chance to experience it. Now, people who’ve been through several treatments experience tremendous health benefits in relation to respiratory system — snoring, allergies, colds etc. It also has skin benefits – Psoriasis. From what I’m told, each person’s experiences are different and people come in for all sorts of reasons. So, how does it work? 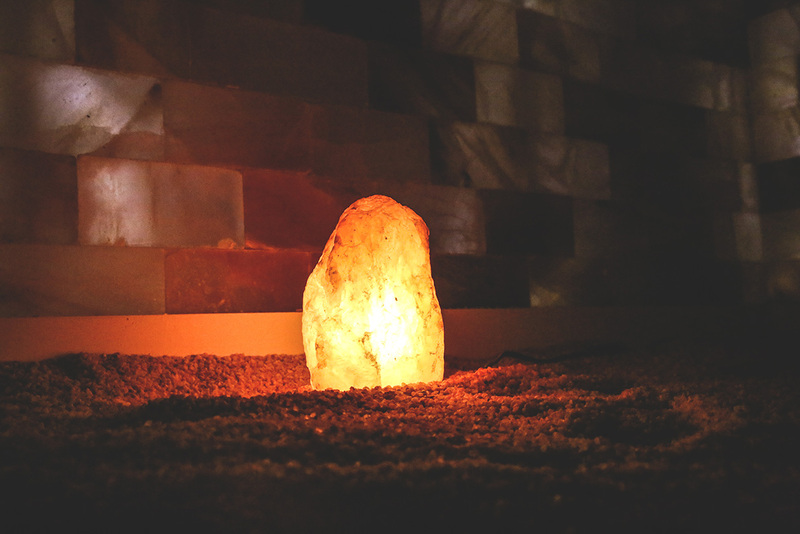 Halotherapy aka salt therapy recreates the experience of being in a salt cave. 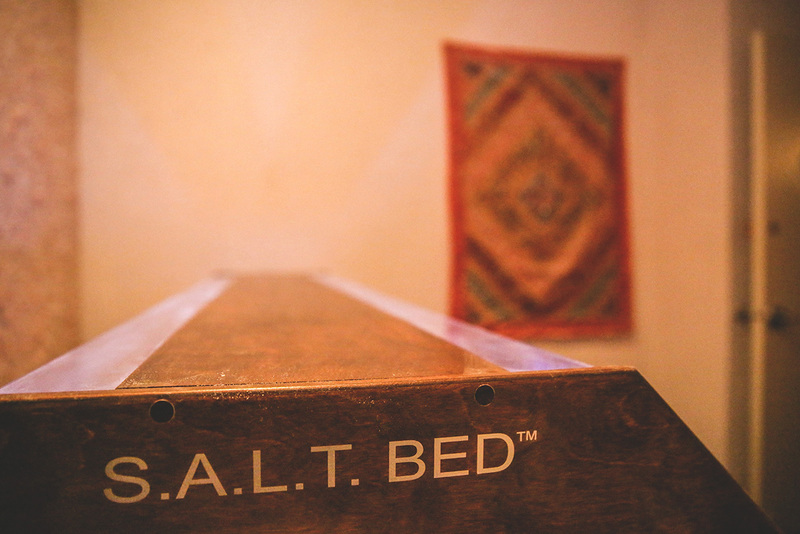 The floors of Breathe Easy were covered in sea salt and the walls with Himalayan salt bricks. 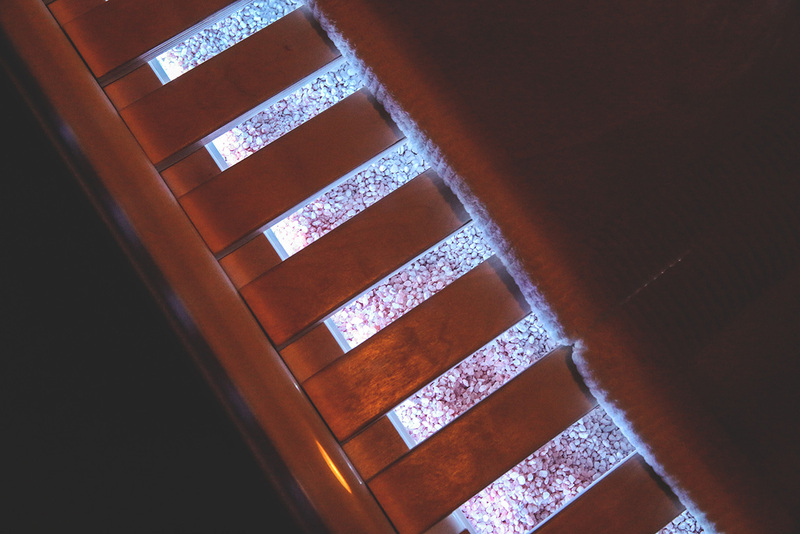 Theres also a halo generator that micro-sizes the salt into breathable particles and disperses into the room’s air flow. As salt is naturally ionized and an anti-bacterial, so when it’s inhaled, it clears out blockage and any germs lurking in your lungs. Have you ever wondered why the salt gargle works when you are sick? Sort of the same principle! So, what was my experience? I actually went in with that scratchy-throat feeling you get right before you are about to get sick. I thought it could be a good way to test the effects of the salt room. 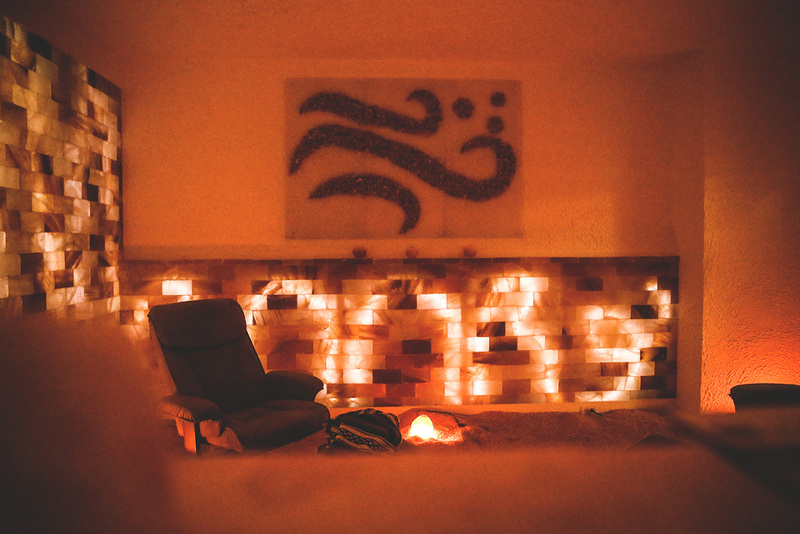 The room felt like a sanctuary, tucked away from the busy city. Upon entering the room, I was offered a blanket and shoe covers. I tried to take a power nap in the room, but the cogs in my head got the best of me. I remember resting and being able to taste the salt in the air. Not many people apparently do, I guess I’m super sensitive to it. Forty-five minutes came ever so quickly, and I waited to see the results the next day. Guess what? That pre-cold feeling went away the next morning and I felt cleared up. Now, that it’s gotten super cold, and the weather is drying out my entire life. I’m looking forward to another session for a cleanse. 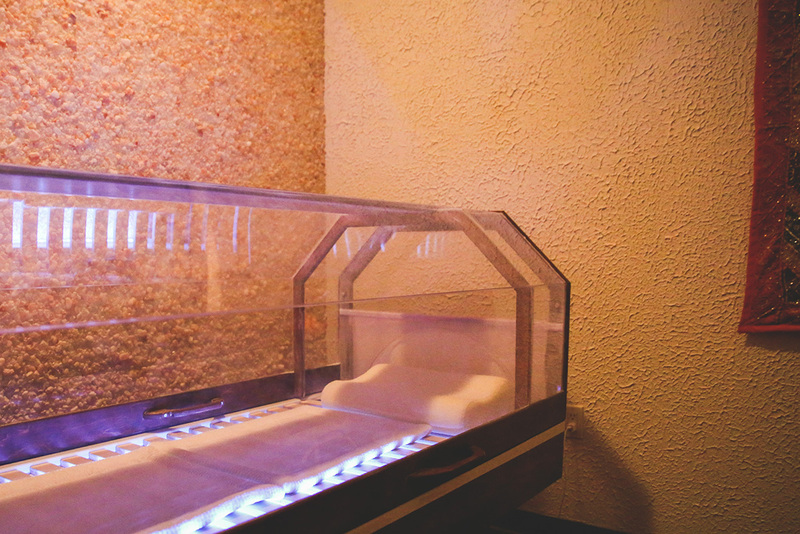 Besides the room, Breathe Easy has a single pod bed. I may want to try this next time!